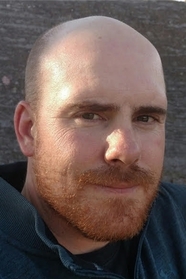 Patrick Dacey holds an MFA from Syracuse University. He has taught English at several universities in the U.S. and Mexico, and has worked as a reporter, landscaper, door-to-door salesman, and most recently on the overnight staff at a homeless shelter and detox center. His stories have been featured in The Paris Review, Zoetrope All-Story,Guernica, Bomb magazine, and Salt Hill among other publications. Patrick is the author of The Outer Cape and We've Already Gone This Far.